Custom cloth diapers are a great way to dress your baby up for photo shoots, special occasions, and just for fun! Are you looking for that special diaper? Browse our photo gallery, rate them, and if you find one you like, you can even get in touch with sellers to order them, too! We bought our entire stash of cloth diapers through traditional cloth diaper retailers, and there's lots of advantages - warranties, ease of ordering, available through lots of retailers, orders usually ship the next day, and you know exactly what you're going to get. Custom cloth diapers (at least the ones we feature in this article) are a special type of cloth diaper which can add a cute touch to a special occasion! Custom diapers use special fabrics, and premium features such as ruffles, bows, and embroidery to dress up cloth diapering! Buying custom cloth diapers isn't (necessarily) the way to go to build your entire stash. (But you can if you want to!) But it's a lot of fun discovering that perfect, cute diaper you just won't be able to live without! Do you have a baptism or another formal even coming up? Once your little sweetheart starts crawling, it can be hard to keep her bottom covered - and while leotards are cute, they won't stay clean for long! We love cloth diapers with ruffles - even when her dress pops up, you've still got her covered! For little boys, there's lots of cute formal options available too - diapers that look like tuxedos, and ones with matching ties! Special Request: appliqued custom cloth diaper by Zany Zebra Designs - just like the family dog! Got a baby shower or gift exchange coming up? Because they're unique and often hard to come by, custom cloth diapers can be the talk of the party! Some custom cloth diaper makers even offer special gift sets, including matching burp cloths, diaper covers, and onesies! 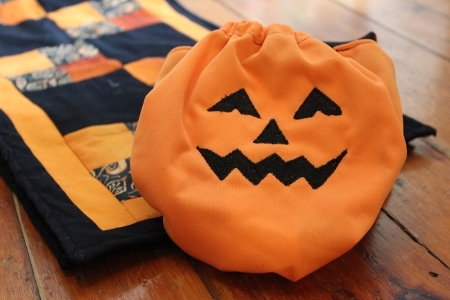 Easter, Christmas, Halloween... it's so easy to get into the spirit of the holidays when you add fun, seasonal diapers. An orange diaper with a jack-o-lantern face, a white diaper sporting the Easter bunny? With special embroidery and fun seasonal prints, the sky is the limit with custom diapers! 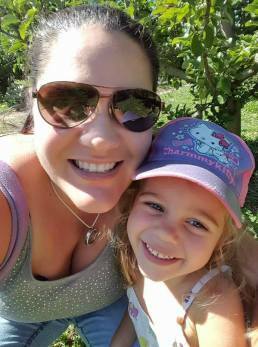 Is a family member in the military, or does someone you know have breast cancer? Sometimes the makers of custom cloth diapers will sell their diapers to raise funds for special causes. This is a fun way to give back and show your support from top - to bottom! Want to demonstrate your support for the environment? Cloth diapers are a great way to do it - and you can even find special "recycle" prints and embroidery available - what a great way to show off your own reusable diapers! There's nothing cuter than a chubby little baby toddling around wearing nothing but a diaper. Those moments are so common for you when you're at home with your baby... but so often we forget to capture them with our cameras! Almost every picture I have of my little guy is with him fully clothed in some adorable outfit - and all I can see is his face! Want to capture the every day baby moments? Why not plan a diaper-only photo shoot with your little one? Capture those little toes, the chubby legs, and the round tummy forever! You can even take the photos yourself - just make sure you've got some good lighting and add a few props that will entertain your baby without overwhelming the photo! Even better, make your diapers your props - custom cloth diapers are an excellent way to capture the mood you're trying to convey! Disposable diapers are BOR-ING! Cloth diapers are FUN! 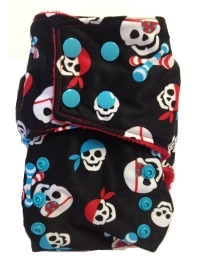 Available in a ton of colors and fun prints, cloth diapers are full of personality. And custom cloth diapers? Do they come any cuter?!? These designer diapers aren't usually a lot more expensive than regular cloth diapers. Adding a couple of fun options to your stash can be a great way to make your cloth diapering experience a little more fun! If you keep in mind, you're paying for a high quality diaper PLUS extra time and material costs to source cute fabrics, make ruffles, or add embroidery, it is a small cost to pay! 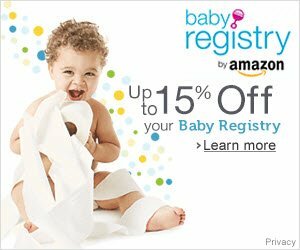 Where do I Buy Custom Diapers? Please note, Thinking About Cloth Diapers is a cloth diaper information website, and we do not sell diapers. To help you find your perfect diaper, we've rounded up some of our favorite custom diapers. If you want to buy one of the featured custom cloth diapers, please follow the link to contact the seller directly. Which custom diapers do you love the best? Check out all of our listings, and vote for your favorites below! Want to Showcase Your Own Custom Cloth Diapers? 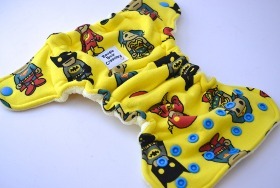 Please follow this link to submit your own custom cloth diaper designs for inclusion in our gallery. Showcase Your Custom Cloth Diapers! This is where you can show off your custom cloth diapers to our website readers! It's quick and easy. Submit up to 4 photos showing off your unique designs, and provide an overview of pricing, sizing descriptions, and order procedures! Your profile will appear on a Web page exactly the way you enter it here. You can wrap a word in square brackets to make it appear bold. For example [my story] would show as my story on the Web page containing your listing. Please note: by submitting your photos, you are verifying that you are the owner of these photos and that you are providing Thinking About Cloth Diapers with permission to publish these photos on our website. Please note: we reserve the right not to list fitted, flat, prefold or other styles unless they are truly custom designs!